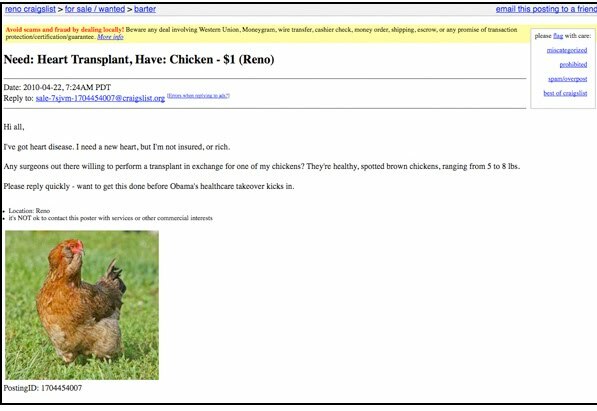 No need for insurance or anything. 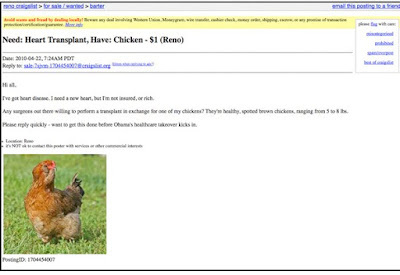 If you need medical care, just ask if the Doc needs any live animals, or needs his house painted. Think I'm kidding? The Republican challenger to Senate Majority Leader Harry Reid, Sue Lowden, believes this is a good solution to spiraling health care costs. 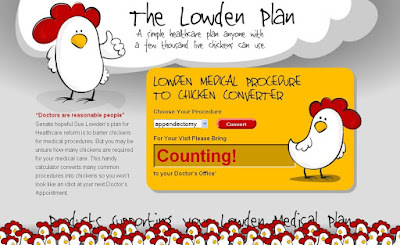 In case you are not up to speed on exactly how many chickens you're supposed to be bringing for your next doctor appointment, check out the new website LowdenPlan.com. Paine- the yolks on you.